Super Eagles of Nigeria coach, Stephen Keshi, has expressed surprise at Captain Joseph Yobo's comment following his exclusion from last month's Fifa World Cup qualifying against Kenya in Calabar. 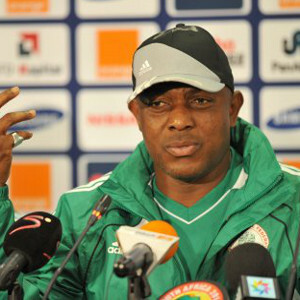 Keshi, disclosed that he held talks with Yobo in South Africa during the 2013 Africa Cup of Nations on first-team places. "I like the hunger Joseph is showing with regards of wanting to play for the team at every given time. But I believe that we cannot play all of our players in every game. For instance, this year we have quite a number of games and Joseph still remains the team's captain. We talked about this in South Africa during the Nations Cup and I explained to him that he's still very much in my team as the captain in spite of playing from the bench. "The truth is that the two boys (Kenneth Omeruo and Godfrey Oboabona) playing in the central defence have been doing well. So calling Yobo for a game like that of Kenya and then dropping him to the bench or out of the team would be demeaning to him. "But it is a matter I will iron out with Joseph because he is a fantastic professional. He showed that while in South Africa and we still need his experience for some of the big games we will be playing in the World Cup qualification as well as the (Fifa) Confederations Cup in Brazil. 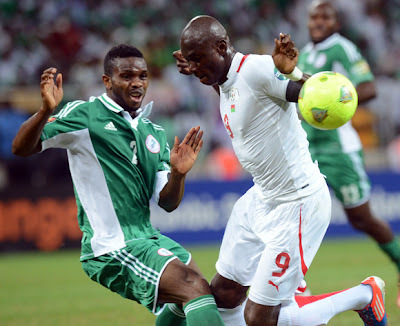 So he's very much the team captain," said the Nigerian manager on Tuesday. The fenerbahçe of Turkey defender had expressed unhappiness during an interview with Brila FM on Tuesday at being snubbed for the Kenya game without notice. “We spoke just right after winning the 2013 Africa Cup of Nations and since then we have not spoken and no one has got in touch with me since then and I feel that as the captain of the national team, I should have been informed (of being dropped for the Kenya match). “I am disappointed and feel disrespected because the coach should have called me considering my status in the team,” he said. He insinuated that someone in the coaching crew feels intimidated by his achievement.he couldn't understand why he as a captain of a national team that won the AFCON wasn't informed that he wasn't in the list the match against Kenya.he feels he was disrespected as nobody called him. Bottom line,he declared that all is not well wit the national team.